Question-1 :- where I is the identity matrix of order 2 and n ∈ N.
To Show : (aI + bA)ⁿ = aⁿI + naⁿ¯¹bA, where I is the identity matrix of order 2 and n ∈ N.
Therefore, the result is true for n = 1. 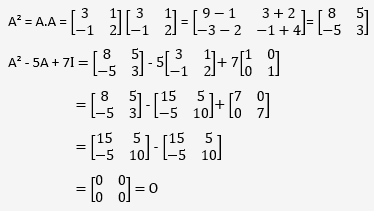 Therefore, the result is true for n = k + 1. 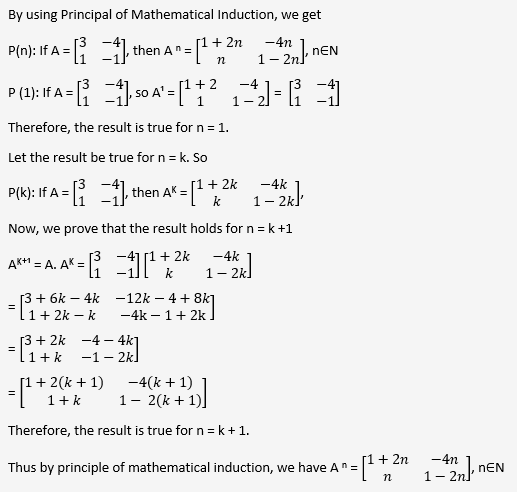 Thus by principle of mathematical induction, we have (aI + bA)ⁿ = aⁿI + naⁿ¯¹bA, n∈N. Question-3 :- , where n is any positive integer. 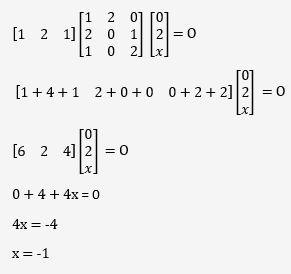 Question-4 :- If A and B are symmetric matrices, prove that AB – BA is a skew symmetric matrix. Thus, (AB − BA) is a skew-symmetric matrix. 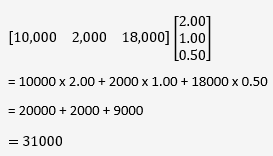 Question-5 :- Show that the matrix B′AB is symmetric or skew symmetric according as A is symmetric or skew symmetric. 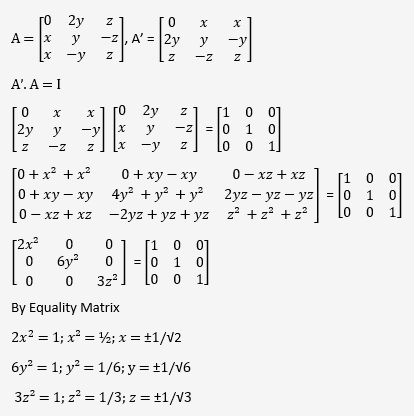 Thus, if A is a symmetric matrix, then B'AB is a symmetric matrix. Now, we suppose that A is a skew-symmetric matrix. 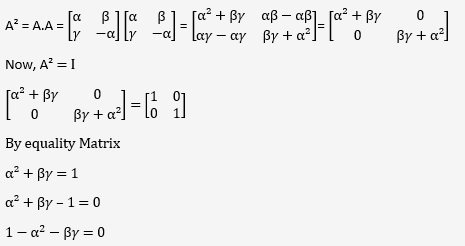 Thus, if A is a skew-symmetric matrix, then B'AB is a skew-symmetric matrix. Hence, if A is a symmetric or skew-symmetric matrix, then B'AB is a symmetric or skew-symmetric matrix accordingly. Question-6 :- Find the values of x, y, z if the matrix satisfy the equation A′A = I.
Question-10 :- A manufacturer produces three products x, y, z which he sells in two markets. 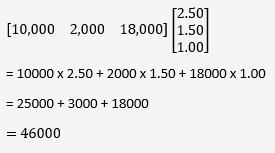 Annual sales are indicated below: (a) If unit sale prices of x, y and z are ₹ 2.50, ₹ 1.50 and ₹ 1.00, respectively, find the total revenue in each market with the help of matrix algebra. (b) If the unit costs of the above three commodities are ₹ 2.00, ₹ 1.00 and 50 paise respectively. Find the gross profit. (a) The unit sale prices of x, y, and z are respectively given as ₹ 2.50, ₹ 1.50, and ₹ 1.00. Therefore, the total revenue in market I is ₹ 46000 and the same in market II is ₹ 53000. 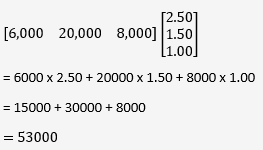 (b) ) The unit cost prices of x, y, and z are respectively given as ₹ 2.00, ₹ 1.00, and 50 paise. Since the total revenue in market I is ₹ 46000, the gross profit in this marketis (₹ 46000 − ₹ 31000) ₹ 15000. Since the total revenue in market II is ₹ 53000, the gross profit in this market is (₹ 53000 − ₹ 36000) = ₹ 17000. Question-12 :- If A and B are square matrices of the same order such that AB = BA, then prove by induction that ABⁿ = BⁿA. 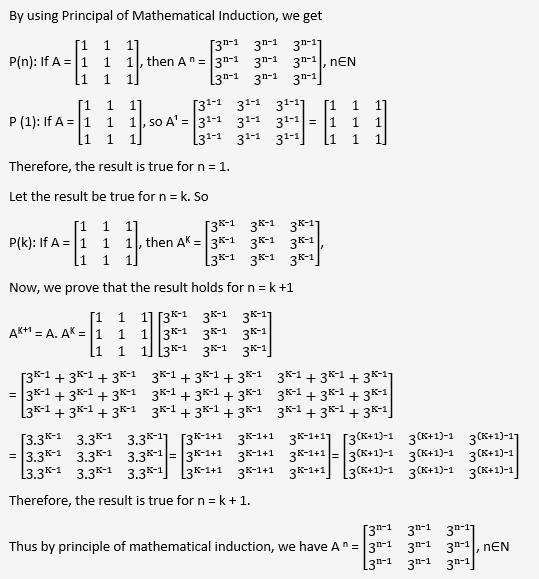 Further, prove that (AB)ⁿ = AⁿBⁿ for all n ∈ N.
A and B are square matrices of the same order such that AB = BA. Let the result be true for n = k.
Now, we prove that the result is true for n = k + 1. Thus, by the principle of mathematical induction, we have (AB)ⁿ = AⁿBⁿ, for all natural numbers. Therefore, A is a zero matrix.